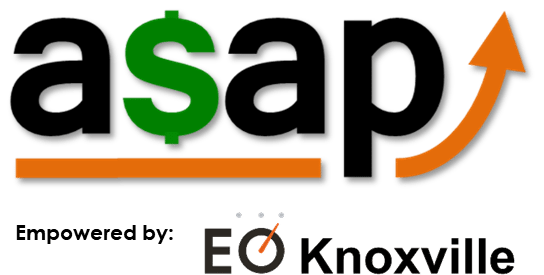 Invest in your entrepreneurial future by joining EO Knoxville’s ASAP program in the month of March for a special 3 months free when you pay for your program seat through June 30, 2019. The discounted rate of $2,200* (includes a one-time $500 forum training and initiation fee). Promotion ends at midnight on April 1, 2018. In April 2018, ASAP program dues will resume to the standard rate of $2,767* (15 months plus a one-time $500 forum training and initiation fee) for a seat through June 30, 2019. For inquiries or details, contact EO Knoxville at: admin@eoknoxville.com. * Processing and handling fees paid by the participant.